When Burning Man became a 501(c)(3)3 in 2014 it became responsible for a certain level of transparency that the press, for some reason, has taken gleeful advantage of over the past few years. This is the second year we have seen a detailed press exposé of its budget with not much “there” there. The Reno Gazette Journal reports that the organization spent $35.8 million against revenue of $36.9 million. More than two-thirds of its revenue came from ticket sales and it plans to use its surplus to invest in its future. Sounds pretty good to us in terms of being a well-managed organization. The conclusion drawn by the paper? While the organization that touts its 10 principles—such as radical inclusion, radical self-expression and gifting—may be making more than ever, it also is spending more than ever. The organization’s total revenue climbed year-over-year by 14 percent while total spending increased by 19 percent, according to 2015 tax documents. But maybe the story is in the salary? 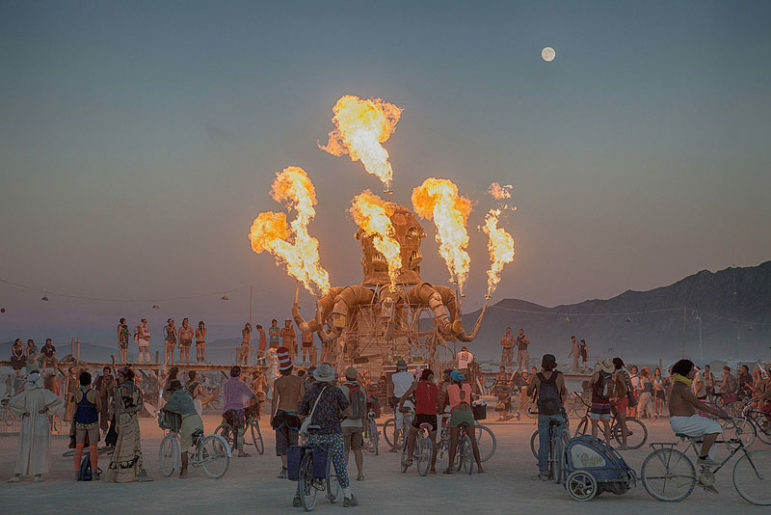 It turns out that Burning Man CEO Marian Goodell is making only $246,000, having received a raise of 1 percent and Larry Harvey, the founder, made around $197,000 and apparently got no raise. Okay so that is not where the story is unless you see the story as finally dispelling the myth that you must pay a mission-flouting high price for super-competent business leadership. We find out that $4 million went for contracts “including portable toilets,” presumably an allowable expense considering what might occur without them. So no scandal there but—really—does there have to be a suggestion of wrongdoing to make the financial facts interesting to the public?